Trinity United Reformed Church is on the north-western corner of Station Road and Gaynes Road in Upminster. The church started when Thomas Talbot's house in Upminster was registered for Independent worship in 1797 and 1798. Upminster Congregational Church was opened next to the house on the southern side of St Mary's Lane in 1800. It was extended in 1819, refronted in 1847, but replaced in 1911 by the present church on a new site, designed by T Stevens. Branfill Road Meeting Room occupies a narrow plot on the northern side of Branfill Road, very close to the corner which turns into Champion Road. This meeting room was listed in 1951, but the denomination of its registrars was not shown. The term 'meeting room' however, suggests Brethren, of which there were plenty in the area. Not far from here, Upminster Christadelphians were meeting in Clock House Hall, St Mary's Lane, above the branch library, in 1958. Upminster Methodist Church stands back from the road on the south-eastern corner of Hall Lane and Deyncourt Gardens. The church originated from a Wesleyan congregation in 1910 when a temporary iron church was erected for the developing garden suburb. A permanent church, in the Tudor Gothic style with two low corner towers, was built in 1923 and enlarged in 1935. It was first in the Ilford circuit, but in 1947 it was included in the new Romford circuit. Moor Lane Church (Anglican Mission) is set back behind its car park on the eastern side of Moor Lane, close to Fairholme Gardens. 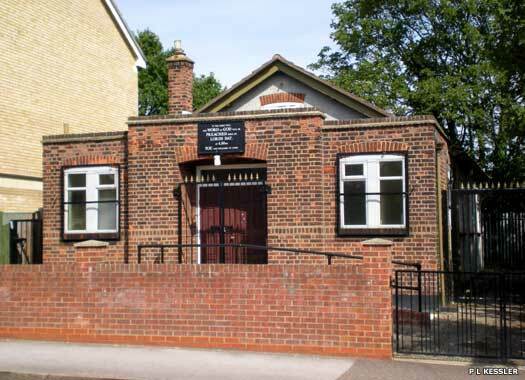 The building was first registered as a chapel by the Brethren in 1955, but by the 1980s they had left, perhaps to join the one or more congregations of Upminster's Brethren. 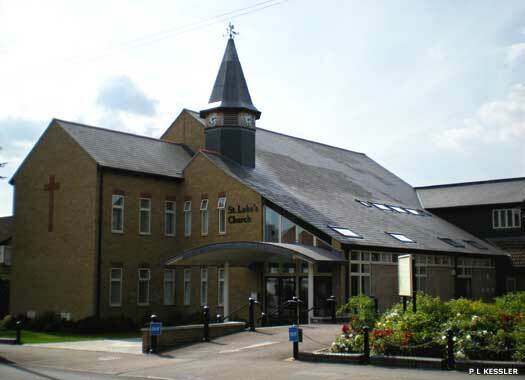 The building was taken over by the Anglican church to serve as a mission for St Luke's Church (see below) in the Cranham Park parish to the north of Upminster. St Luke's Church occupies a sizable plot on the western side of Front Lane, opposite Briarleas Gardens in Cranham Park. 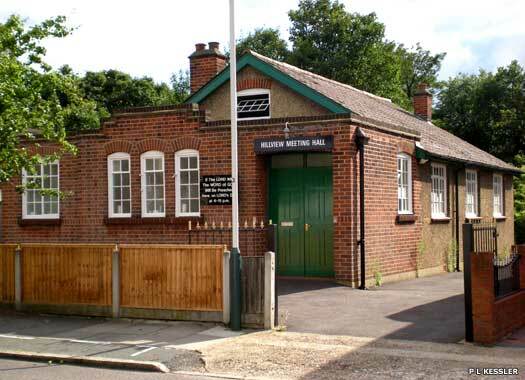 The church was established in the 1950s, as Cranham Park began to grow from a tiny hamlet to an established large village (now of 13,000 residents). 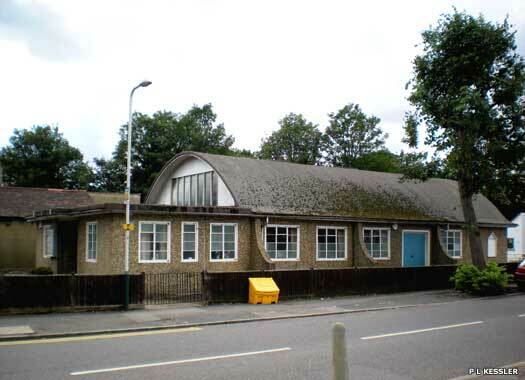 The district was formed in 1957, although services were held from 1955 in a builder's hut, and the dual-purpose building was consecrated in 1957, with a church hall being added around 1966. 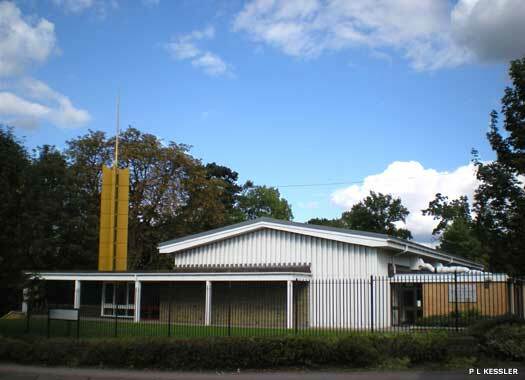 Cranham Baptist Church sits on the western side of Severn Drive, almost opposite the northern exit of Clyde Crescent in Cranham Park. The church was founded in 1957, coincidentally at the same time as the Anglican church of St Luke (see above), when the area was rapidly growing up. It originated about two years previously, also in a builder's hut, as did St Luke's. The building was extended in 1974, with extra, attached buildings added behind the church. Nelmes United Reformed Church marks the entry into Romford from Cranham Park, with the church standing on the south-western corner of Nelmes Road and Burntwood Avenue. 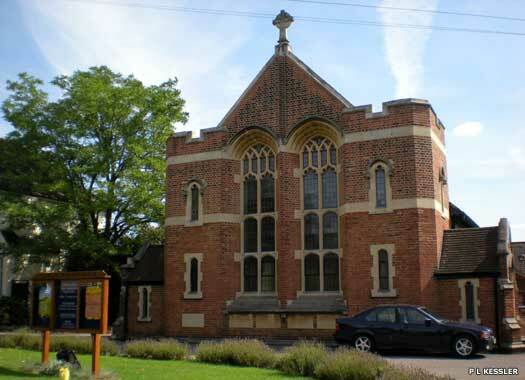 The church was formed in 1906 as Hornchurch Congregational Church. Initial help was given by Romford Congregational Church. 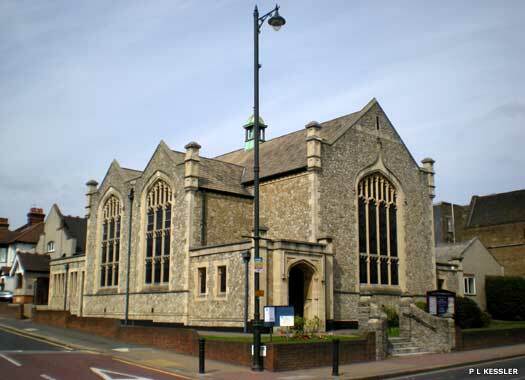 Meetings were held in a hall in Berther Road until 1909, when the present building was erected, on a site given by Thomas Dowsett of Southend-on-Sea. 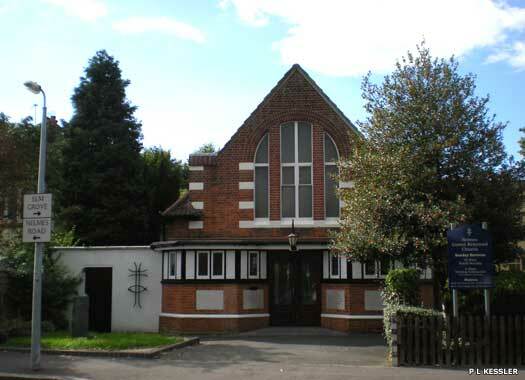 Emerson Park Chapel (Brethren) is on the south-western corner of Butts Green Road and Hillview Avenue. The Brethren had two Hornchurch meetings in 1917. One of them was at Billet Lane Hall, which survived until 1958, when Emerson Park Chapel was built. 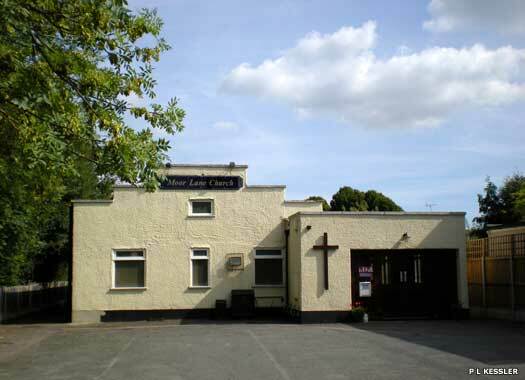 The Brethren also had meeting places at Bethany Chapel, Abbs Cross Lane, Athelstan Chapel, Harold Wood, and Hillview Hall (below). Today Emerson Park Evangelical Church occupies the Butts Green Road site. Hillview Hall (Brethren) occupies a plot on the southern side of Hillview Avenue, just a stone's throw from Emerson Park Chapel (see above). 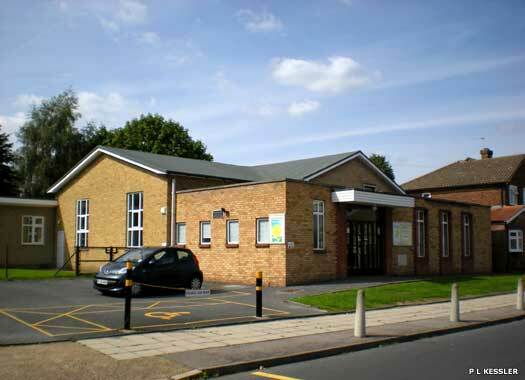 The hall was founded in 1969, the last of a series of Brethren halls and chapels to be created in the district, starting from the two congregations which existed at Hornchurch in 1917. Today, many of those halls and chapels still exist and are still in use, although not always by congregations that are of the Brethren. The Church of Jesus Christ of Latter-Day Saints sits behind high iron railings on the eastern side of Ardleigh Green Road where it meets Butts Green Road, and opposite the entrance of Slewins Lane. The church was built in 1964 on a large, wooded site, and most of the woods still survive. The building is in white brick and timber with part of the front wall in rock-faced brick. The detached spire is made of gilded metal and is constructed in the shape of an arrow.